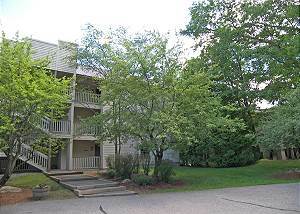 3rd floor 2 bedroom 2 bath condo with wooded river views. Master bedroom has a king bed and small TV, 2nd bedroom has 2 twins.W/D. Wood burning fireplace. Wireless Internet. 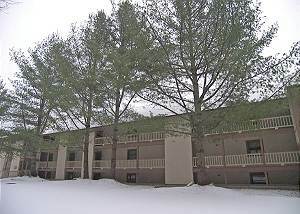 2 Bedroom, 2 Bath, 3rd Floor Condominium, Master with Queen Bed and TV, 2nd Bedroom with 2 Twin Beds and Small Flat Screen TV, Washer/Dryer, Self Clean Oven, A/C Unit, Wood Burning Fireplace.Wireless Internet. 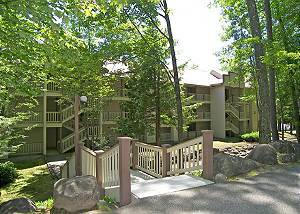 2 bedroom, 2 bath condominium with wonderful river view. Master with queen bed and second bedroom with two twin beds. Air conditioning. WiFi.Wood burning fireplace. 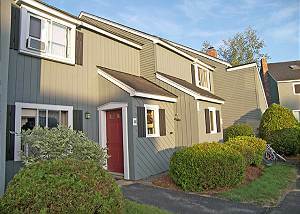 Two bedroom, 1.75 bath townhouse. Master bedroom with queen bed. 2nd bedroom with two twin beds and small TV/VCR. A/C in each bedroom and the living room. Washer/Dryer. WiFi.Dog Friendly. 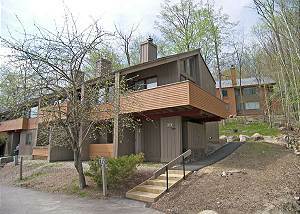 2 bedroom, 2.5 bath townhouse at Lincoln Station Resort. Master bedroom with queen bed, 2nd bedroom with two twin beds. Both bedrooms with private baths. Wood burning fireplace. Washer/Dryer. Wooded View. Pet friendly 2 bedroom townhouse, 2 baths. Sleeps 4. Master bedroom with queen bed and full private bath. Upper bedroom with two twin beds, a 3/4 bath and A/C. Wrap around narrow deck. Gas fireplace.WiFi. A/C in dining. 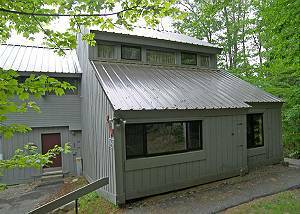 Two bedroom loft, two bath townhouse at the Village of Loon offering a gas fireplace, washer/dryer, wireless internet access and air conditioning in the living area only. 2 bedroom loft, 2 bath. Sleeps 8. Master bedroom has a queen, 2nd bedroom has a queen. Loft has 2 twins an a set of bunk beds. WD. Big deck with views.2 AC units. Gas fireplace. Wireless. 2 Bedroom loft, 2 baths. Entrance in back to this quiet location. Master bedroom has a queen bed, the 2nd bedroom and loft each have 1 twin bed and 1 full bed. Wood burning fireplace. WiFi. W/D. A/C in Living. Dog Friendly.